There are 602 posts in this topic. You are on page 3 of 13. The LP is supposed to be just as nice with respect to contrast. Supposedly the B has a slightly wider color gamut but I doubt you'd ever notice in this application. I'm using DVI not HDMI, but it's a PC/P-ROC project, not Pi controlled. The T2 is VGA to garbage 15.4" monitor, making it look even worse. The biggest problem on that monitor is it's totally terrible black levels. Black looks like gray at best. So to be clear, if I buy the Raspberry Pi and DMD extender I dont need to make any type of cables? It will be just plug and play? You really don't need to make any cables. I used the DMD extender, didn't have to build a cable (though I plan on building my own cables for future machines). A possible advantage of the DMD extender is the included fuse. 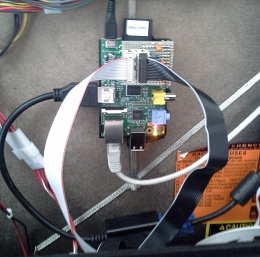 I blew one already (though I did have extra power / devices connected to the PI). Not sure what would have happened without the fuse protection. Was able to test updating the palette through a wifi connection successfully. Though will probably end up moving the wifi adaptor and powered usb hub to the back of the machine, starting to get crowded inside it. I don't know anything about that. Every ColorDMD I've seen looks great, and I know that they use both of these panels (LP156 and B156). Maybe you saw a bad or early model? Anyway, I'd be all over a ColorDMD if they allowed me to color my frames myself or if it were cheaper. That said, I don't think they're making much profit between hardware, labor (colorizing) cost, and licensing. I'm just thankful that SmartDMD provides an alternative. The ColorDMD I have was purchased in December..there is a noticeable grey look to the background. Nothing like the monitor I'm messing with the SmartDMD stuff.....the blacks are black. And I'm using VGA on a monitor my wife had before I met her...so 7+ years ago. Probably impossible to capture in a picture...but there's a noticeable difference. It's the main reason why SmartDMD was so intriguing. Black level is purely a function of the LCD panel technology, and has nothing to do with the controller you're using. Desktop monitors have better blacks than small notebook displays. The panels used by ColorDMD are all higher-cost ultra-HD (1920x1080) panels chosen specifically to get the best contrast and field-of-view possible in a form-factor that would fit behind a speaker panel. So I'll have the same grey look when my 15.6 'laptop' LCDs screen come in? Seem weird that a 7 year old (probably older) 15" LCD monitor would have better blacks that a brand new modern 'laptop' screen. The panels used by ColorDMD are all higher-cost ultra-HD (1920x1080) panels chosen specifically to get the best contrast and field-of-view possible in a form-factor that can fit behind a speaker panel. The LP156WH4 panels you purchased have a more restricted field-of-view than the panels we use, especially when viewed from above. Head on it will be about the same as our panel, but from an angle it will be worse. Holy crap, i've not seen this thread before. Do you have a job? Do you want one? This looks fantastic. Anyone interested in selling premade resistor connectors like oga83 shows? Ok, sorry guys, but most of you are way over my head, but I am intrigued. Ok, I have a Sega Frank, with the orange DMD, please explain ( in dumbassish) what I can do with all this ? I am sort of getting that I can color the dmd ? Hi all here is a pic of the resistor adaptor i made, I am ordering a dmd extender to compare both, one issue for me is the boot time, it is taking over 10 seconds for the pi to load. Boot time as per videos with the dmd extender almost seem to be instant. I've already made one. Not tested yet. It fits on top of the Rpi (same width - no overhang outside of the rpi). I will have somebody in the US to provide them it when it's ready. Yes. You replace your DMD with an LCD and a bit of hardware. Anyone else have this setup? Really excited for this, if it becomes a plug and play set up it will change everything! So I guess my question is how the colorization compares with the DMD Extender? Do they both do the same thing or are the different? Since they both use the PI do they both just use their own software to do the same thing? Ok, here is a question. Could I replace the translate with a larger LCD and place in a new background image like you had displayed on the remote monitor. And still have the DMD functionality under the background. I could just then remove the old DMD and fill the space with something else. I guess you could do something like that. Supposing you found an LCD that was the right size and shape for what you want, I would think the DMD image would end up being as wide as the LCD, so if you have a huge LCD, then the DMD will be huge. If I'm recalling correctly, there aren't options for sizing the DMD image independently of the background image. If I'm recalling correctly, there aren't options for sizing the DMD image independently of the background image. Actually, you can do this by adjusting the DMD dot size : only the DMD area will be resized. The whole image can be adjusted with the overscan parameters. I'd be curious to see a setup like that. I can confirm that the size of the 'dmd' output image can be changed passed just setting the resolution. Something I found strange is I needed to use negative numbers to make the image bigger. If I used positive numbers the image got smaller. Using 1024x768 I think I was at like -320 for all 4 values to get it to fill the view able area through the speaker panel. You know what I love about the ColorDMD? I do not need to learn training and read over and over on how to use the product that looks pretty amazing. Plus, I do not need to e-mail or PM anyone over and over to figure it out. 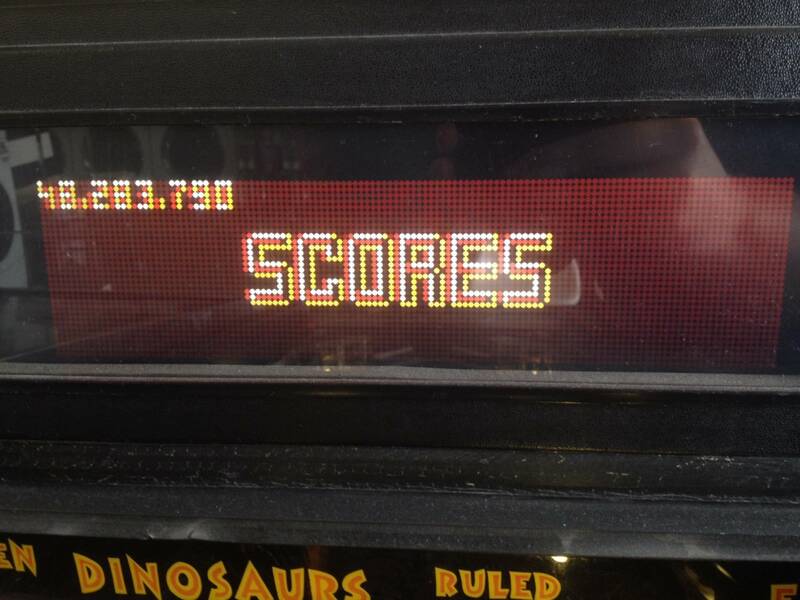 Nice and easy and back to playing pinball. So get out of this thread... Why even bother posting in it? Its nice to buy a finished product but way more enjoyable to create something yourself. Different strokes I guess. WhiteStar support is just around the corner too...hello Simpsons and LOTR! Is full on colorization with SmartDMD coming for Whitestar? I could see the 4 color palettes like with DE working, but full on colorization? It would be awesome, but can it work similar to how the SAM stuff is being handled? Not sure what Oga has in store for Whitestar...I really hope he can add full support like SAM. 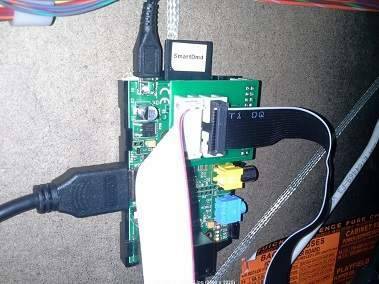 It 's a small PCB that can be plugged on the Raspberry. 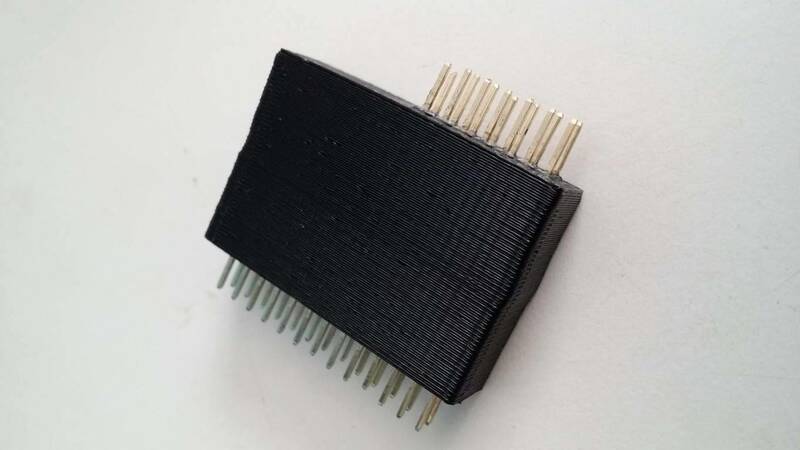 The price of this adaptor is 69 USD + 10 USD for shipment; it includes the PCB, a 11" flat ribbon cable and a license for SmartDmd (but no Raspberry or SD card !). If you are interested in the license only, the price is 35 USD. (for European users, the adaptor with license is 50 euros + 7 euros for shipment, and the license only is 25 euros). If you want one, just PM me. Alternatively, you can use a "DMD Extender" board or build your own cable (see OP for more details). 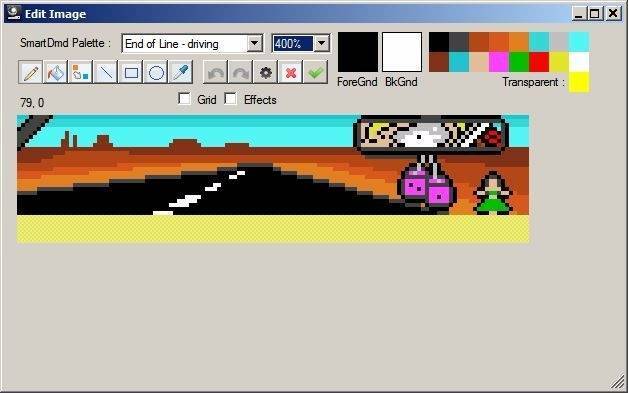 FG Looks like a real individual "COLORDMD ROM"
or ist i just a multiple.color Setup like the UK dmd extender?!? 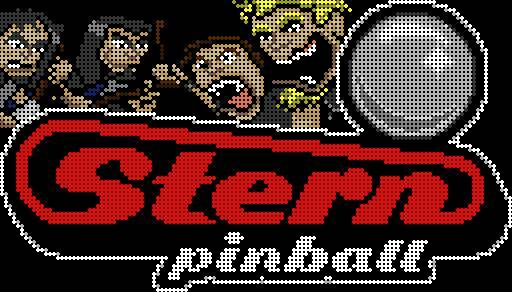 Pinball Browser allows you to colorize each frame (with a 16-color palette). 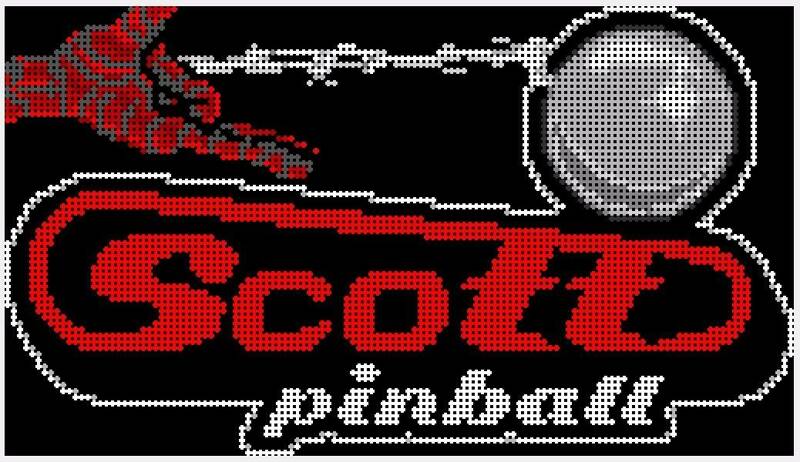 Pinball Browser has some tools that simplify the colorization process : "FloodFill" with a specific color and "ReplaceColor" to change all the pixels that have the same color in a frame. Is the 16 colors only available for certain boards or all supported boards (DE etc)? The price of this adaptor is 59 USD + 14 USD for shipment; it includes the PCB, a 11" flat ribbon cable and a license for both SmartDmd and Pinball Browser (but no Raspberry or SD card !). If you are interested in the license only, the price is 25 USD. After Whitestar support, any chance of something random like jollypark? I suspect it would be possibly the most colourful possibility out there - i mean the machine is colourful enough!! Whitestar is not supported (yet); It's currently being tested and I'm still working on it. 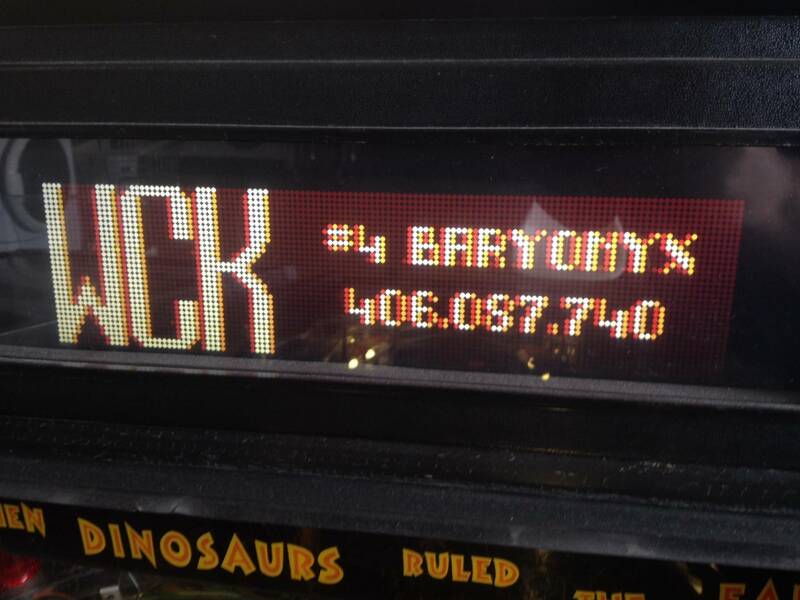 It is very unlikely that Pinball Browser will support jollypark It really takes a lot of time and I'm concentrating on what's the most demanded ! I have followed the instructions and finally have smart dmd working, it took me a while to get my usb wifi to work and i have mapped the drive, the question i have is when using pinball browser i selected the smartdmd file from the mapped drive. When i make changes it says access is denied, I also noticed when i tried to copy files to the mapped drive it would not allow me, it seems to be read only, is this a setting in the network configuration on the pi. 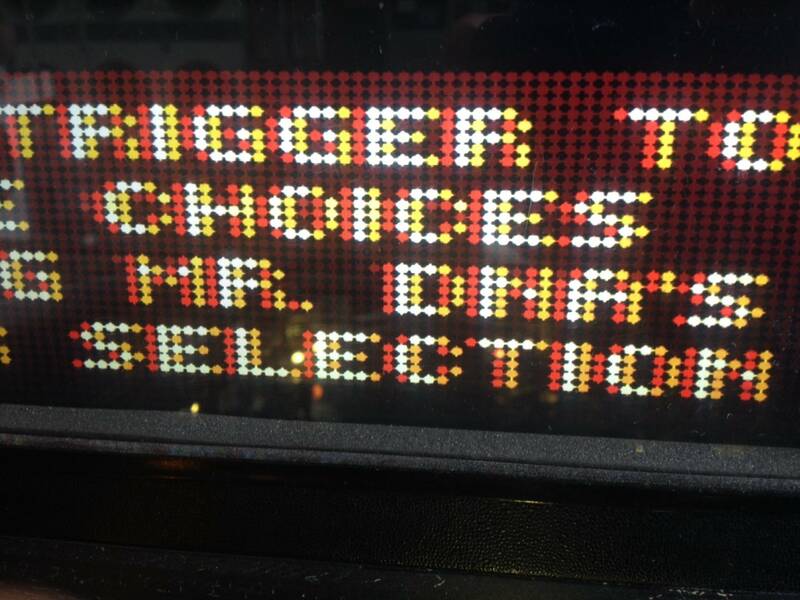 when using pinball browser i selected the smartdmd file from the mapped drive. When i make changes it says access is denied, I also noticed when i tried to copy files to the mapped drive it would not allow me, it seems to be read only, is this a setting in the network configuration on the pi. Did you install the pre-configured distrib or did you follow the tutorial to configure yours ? Yes those lines are there. 1- Did you install the pre-configured distrib or did you follow the tutorial to configure yours ? 2- Can you write into /boot/smartdmd when you logged in ?